Head piece or Head chain, whatever you wanna call it. I love it! It looks feminen and edgy at the same time. These trends has been around and has been loving also during the raved event called coachella . If you are not wearing hijab, you can wear this too! 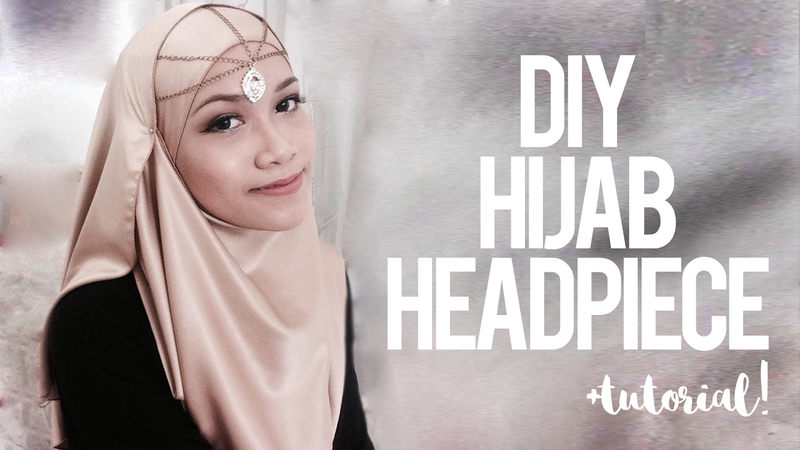 I am showing you the way to wear this head piece with hijab and of course how to make it. Watch my video below! Don't forget to comment, like and subscribe! I am showing you the basic one, you can create more design of your own imagination! Like these examples below! Add more chains, more charms as you like. 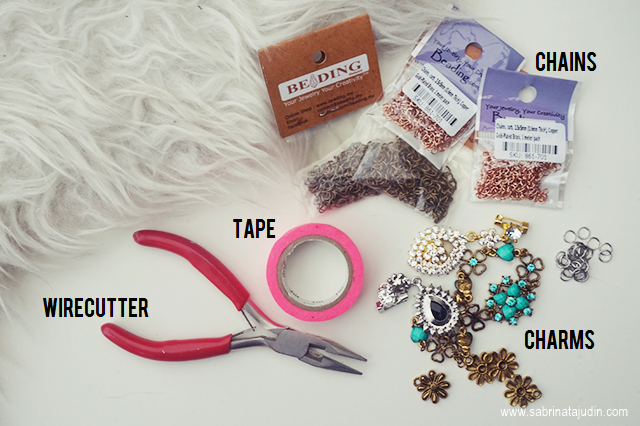 You can use your old long necklace too. Usually they come in these type of chain. Or like me, I can't find it so I bought it at this online shop called Beading.my. Beading.my is one of the shop I have been loving since in my studies years. They have lots of crafty stuff especially jewerly making stuff. They once have a shop at Setapak, but they decide to just go online. You can find various type of cjain for this headpiece project. I choose mine in the rusty gold in 0.7mm thick. You can find charms at any of your jewelry. You can use the old ones that you are not using. In my case I can't find it so I bought these affordable dangling brooch from local hijab store. They cost only like RM5 per piece. For this basic one, I am going to use only one. To combine and secure everything. You can get this at beading.my too. To cut the chain and to open and secure the jumprings. I hope you find this post and video helpful and inspire by this. You can make it for yourself, for your friends, for events or even sell it! Happy DIY! sama je mana2 klau kat sini pun.. hehe... saja buat tutorial ni untuk special occasion. wink wink! eh..kiutnya!! banyak akak ketinggalan fesyen zaman skrg ni. thanks dear! sure will do!